Game Art has emerged as one of the premier software providers for online casinos, with a diversified portfolio of HTML5 slots. Their partners can use the multi-language and currency platform as a springboard to attracting new customers. Their studio has been around since 2013 and over the years has built a reputation for fairness, professionalism and creativity. Players who choose to spin the reels of their online casino slot games and video slots can expect games that are certified fair. Game Art was founded in 2013 and since then built a reputation for producing high end digital gaming slots using HTML 5 technology. 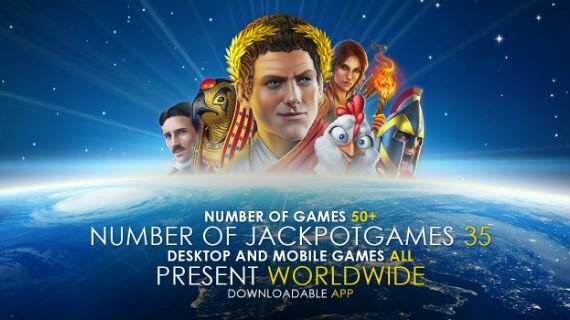 This allows partner casinos to offer a broad spectrum of mobile friendly games that can be enjoyed on iOS and Android powered devices. The multi-language and currency platform is defined by simplicity and has the merit of enhancing efficiency and speeding up turnarounds. Players who choose to spin the reels of Game Art will be reassured to know that the software developer is licensed by the MGA and the government of Curaçao. Its games are certified fair by independent auditors, so players can expect a low house edge and a fair random number generator. Over the years, Game Art Studio implemented procedures and policies that guarantee the fair treatment of players. When playing any of these games, members can have their rights defended and can use the self exclusion features. The development team consists of people with 20 years of experience in this line of work. This explains how they were able to quickly expand the portfolio of games, which now includes in excess of 40 video slots. These are games with amazing graphics, original game mechanics and immersive sound effects. All video slots have a demo version, so players can spin the reels indefinitely without betting real cash. This provides members with real entertainment options without taking any chances with their own money. Game Art adds new games to its collection and many of the latest releases have original themes. Inspired by the civilizations of Egypt, China and Japan among others, these online casino slot games bring something new to prospective players. At the cornerstone of their stories, players will often find famous books or inventors, such as Da Vinci Code or Tesla. Original and different as the slots might be, they have one thing in common and that’s a genuine passion for cutting-edge graphics. The games are developed using the HTML 5 technology, so players can enjoy them all on smartphones and tablets. 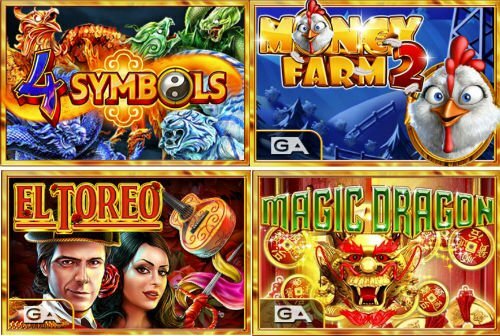 Game Art slots frequently feature wild symbols that increase payouts, trigger multipliers and replace other signs to create winning combinations. Scatter symbols are responsible for delivering free spins and many slots have their own bonus games. Fans of the genre will be delighted to discover popular games such as Spartans Legacy, El Toreo, Money Farm, Lucky Babies or Magic Dragon. Games by GameArt can be enjoyed at various online casinos, among which are AHTI Games and DrückGlück Casino !